Starring in this weekend’s Get Out, Daniel Kaluuya has now lined up a new role in the latest from Hunger, Shame and 12 Years a Slave‘s Steve McQueen. McQueen is directing Widows, a heist thriller based on the 2002 British TV miniseries of the same name. He’s also co-writing the screenplay with Gone Girl author Gillian Flynn. According to Deadline, Daniel Kaluuya will join a Widows cast that also includes Viola Davis (The Help, Doubt), Michelle Rodriguez (The Fast and the Furious franchise, Avatar) and Broadway star Cynthia Erivo. Widows tells the story of a heist that winds up killing all four men who organized it. With a lot of money still left on the table, the widows of the original team step in to finish the heist on their own. McQueen will also produce Widows alongside See-Saw Films’ Iain Canning and Emile Sherman. Film 4 and New Regency are co-financing the film. You can catch Daniel Kaluuya this weekend in the phenomenally well-reviewed directorial debut of Jordan Peele. The Get Out cast also includes Caleb Landry Jones (X-Men series), Milton “Lil Rel” Howery (The Carmichael Show), Betty Gabriel (The Purge: Election Year), Marcus Henderson (Pete’s Dragon) and Keith Stanfield (Straight Outta Compton). After that, Kaluuya can be seen in the Marvel Cinematic Universe. He’s playing W’Kabi in director Ryan Coogler’s Black Panther. It’s filming now and is set to hit the big screen February 16, 2018. 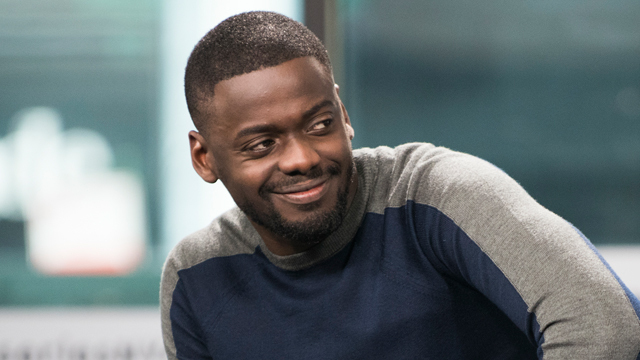 What do you think of the addition of Daniel Kaluuya to the Widows cast? Are you planning on seeing Get Out in theaters this weekend? Let us know your thoughts in the comments below!